Our research interest is studying phenomena at the solid-fluid interface in nanoporous materials made of nanotubes, nanowires and foams. Our target applications are sensors and membranes. 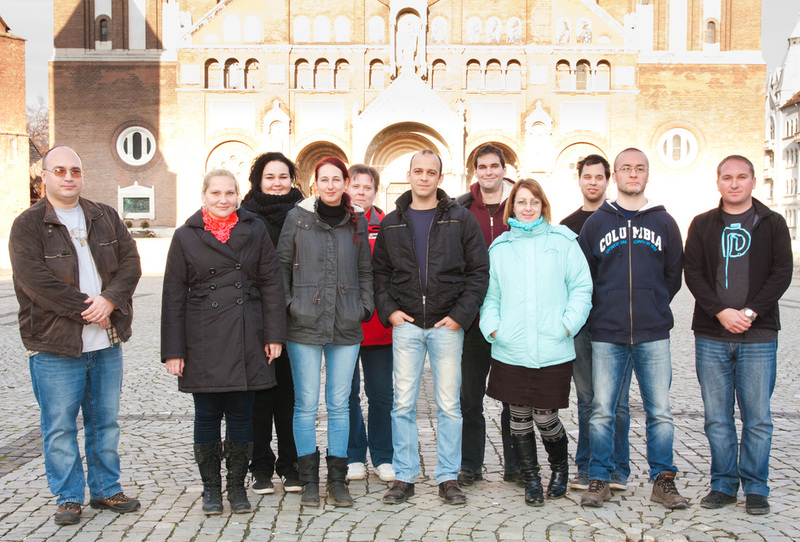 The group was founded on 1st July, 2012 at the Department of Applied and Environmental Chemistry of the Faculty of Science and Informatics, University of Szeged, Hungary. Funding is provided by the "Lendület" program of the Hungarian Academy of Sciences. Ákos Kukovecz, Dorina Dobó, Zita Papp, Tímea Simon, Ildikó Sziveri, Gábor Kozma, Viktor Havasi, Betty Bogya, Krisztián Simkovits, Henrik Haspel, Zoltán Győri. Simon Szalai is missing from this photo but he is also a member of our group.